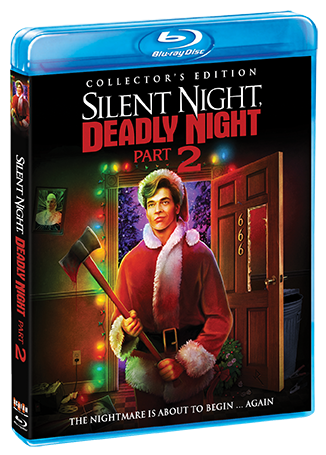 Special Offer: Order from ShoutFactory.com and get an EXCLUSIVE LIMITED EDITION NECA ACTION FIGURE and an EXCLUSIVE LIMITED EDITION ROLLED POSTER of our newly commissioned cover art! Limited to 2,000 copies. Ricky is being released from a mental hospital. He takes with him the terrifying memory of his brother Billy's death and the memory of Mother Superior who brought about his brother's demise. For Ricky, starting a new life means avenging his brother's death, which sets him on a blind journey of relentless revenge, leading ultimately to Mother Superior. 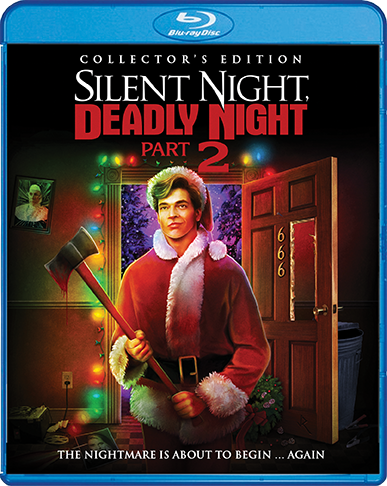 And when he gets to her, not even her faith will be enough to stop Ricky as he follows in the family tradition of Christmas carnage. 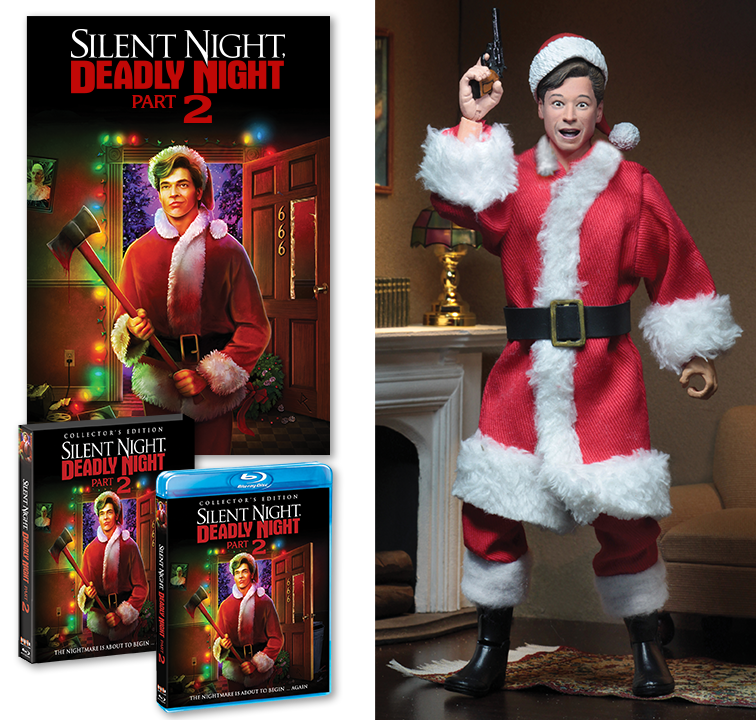 The 8” clothed action figure by NECA is exclusive to this set! Ricky Chapman is dressed in a fabric Santa suit with hat. 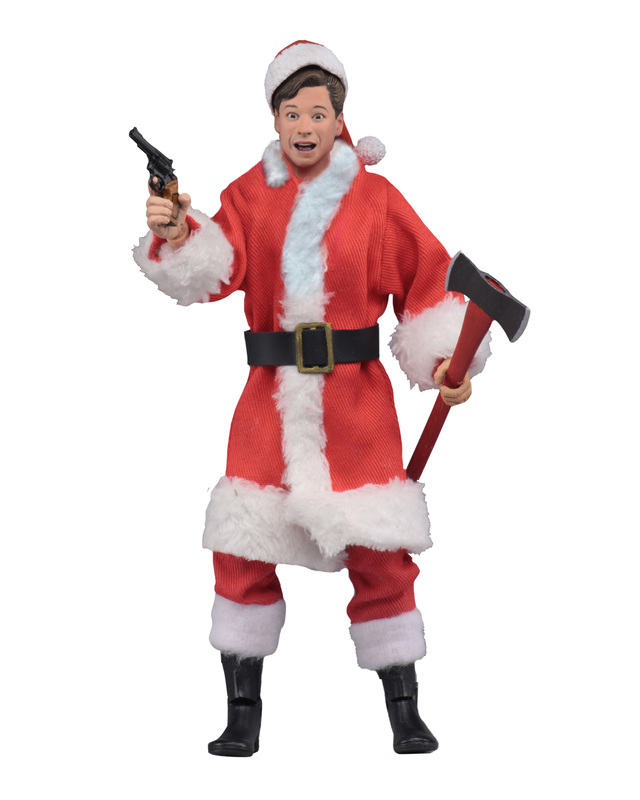 The figure is fully poseable and comes with a gun and axe accessories in window box packaging.